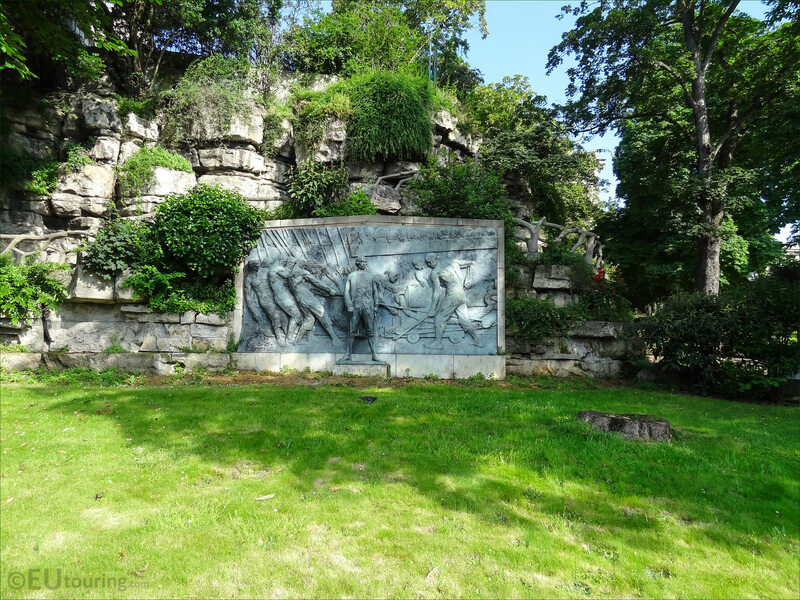 This is a view looking over a green area towards a monument dedicated to Admiral de Grasse, who was in the French Navy and was instrumental in the United States of America gaining independence, and this was first shown at the Palais de Chaillot within the Trocadero Gardens for the 1937 Universal Exhibition. 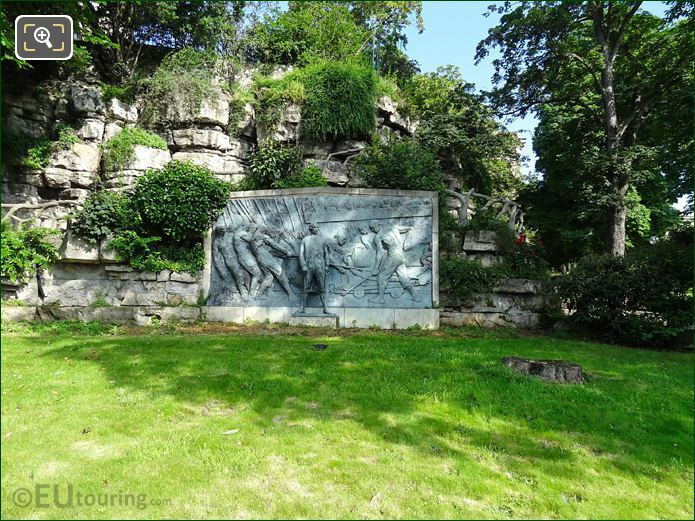 The bronze was put in storage during World War II, but afterwards it was decided that it would be placed within the Jardins du Trocadero and you can see that this is located next to a rocky wall. which in the south west corner of the garden facing towards the Avenue des Nations Unies behind us.